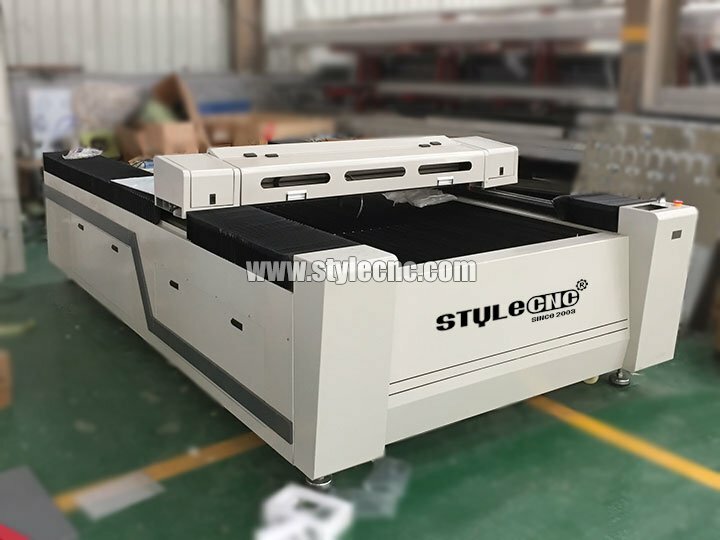 1325 leather laser cutting machine can engrave and cut full grain leather, top grain leather, corrected grain leather, embossed grain leather, split suede leather, nubuck sueded grain leather, reconstituted, bonded or fibre leather for upholstery, garment, shoe or saddlery. 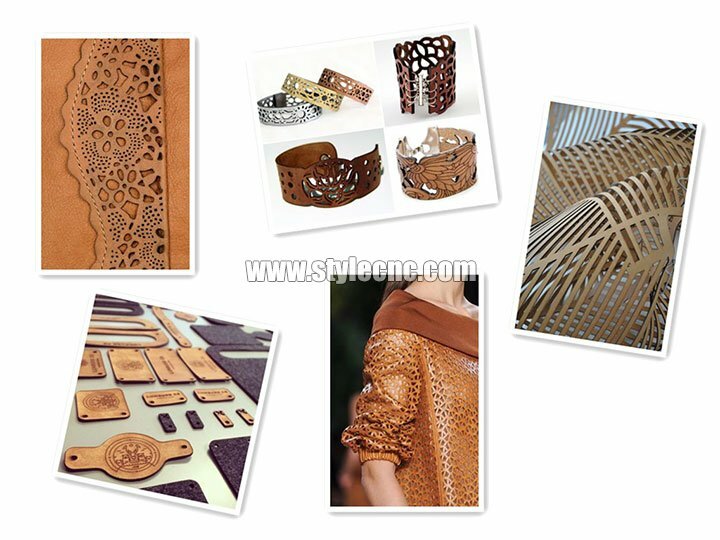 now the leather laser cutter for sale with best price. 1. Open-type worktable, which is widely used in cutting and engraving large size materials with high precision and speed, such as advertising, light industry, woodworking, arts and crafts. 2. Powerful stepper motors and high imported HIWIN linear guide ensure the fast speed and stability. 3. DSP control: RD6442 control system with high speed, stability, anti-interference ability. Advanced USB control and Flash Disk (U Disk) off-computer control system are optional. 4. CO2 laser tube 60W / 80W / 100W / 150W / 180W for option. 5. Professional software for laser machine, which support PLT, DXF, BMP, AI, DSF formats, it is applicable for drawing programs such as Corel Draw, PhotoShop, Auto-CAD, etc. 6. 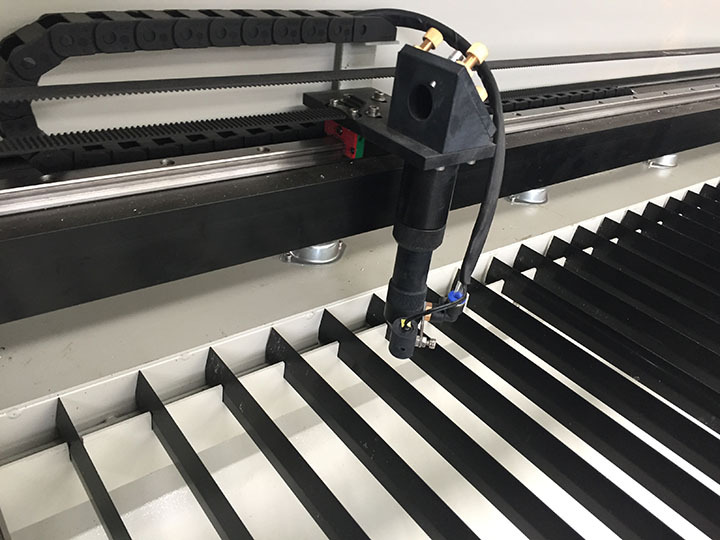 The laser cutting machine has 512 memory which can allow to save and store files in the machine and can work without connecting computer. 7. Good design of dust-proof structure for X, Y axis to ensure longer life of the laser machine. 8. The stability and integrity design idea with advanced industry cooling system and water alarm Automatic Protection Function, improve the stability and safety of continuous operate. Perfect dust, pollution prevention design greatly improve the overall stability of the machine. 9. Using flying path design, unique structure, small optical path deviation, high stability, easy to adjust. 10. Optical Accessories adopts best imported K9 mirrors and ante focusing mirrors whose reflectivity and transmittance is the best with more detailed spot, more cutting edge . 11. 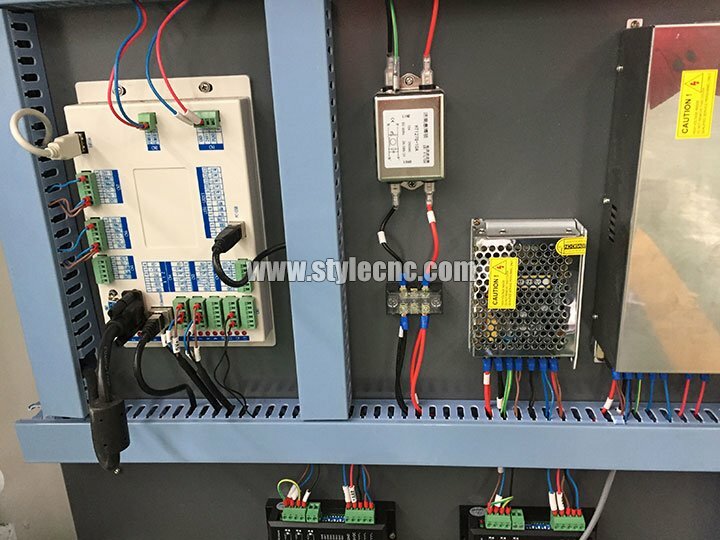 Independent R&D efficient laser power: The laser machine adopts new high-voltage switch-mode, PWM master control technology, which is more stable. 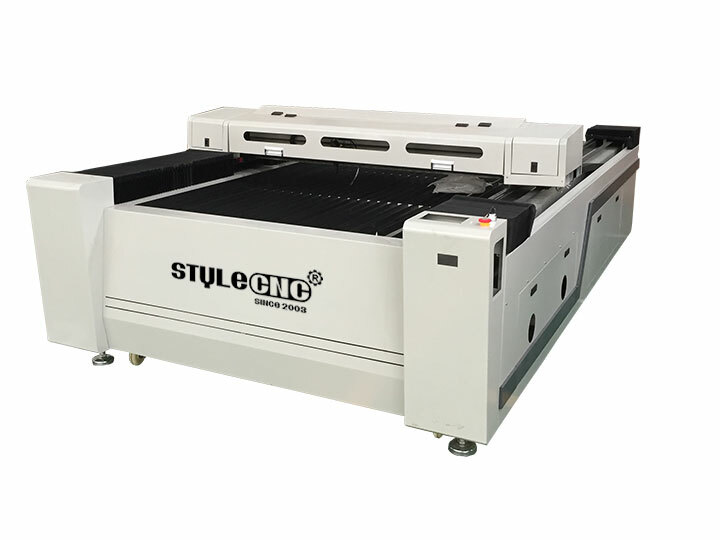 Leather laser cutter is used for cloth, leather, toys, computer embroidery cutting, mould, crafts, bamboo and wood, advertising and building decoration ,packaging and printing, paper products industries. 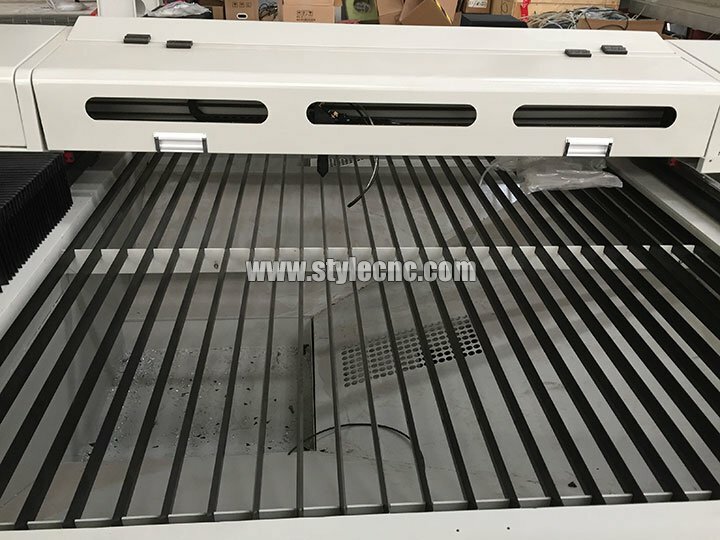 Leather laser cutter is available for engraving and cutting nonmetal materials such as acrylic, color plates, ABS board, rubber, plastic, cloth toys, leather, wool, crystal, glass, ceramic tile, jade, bamboo products, wood products. 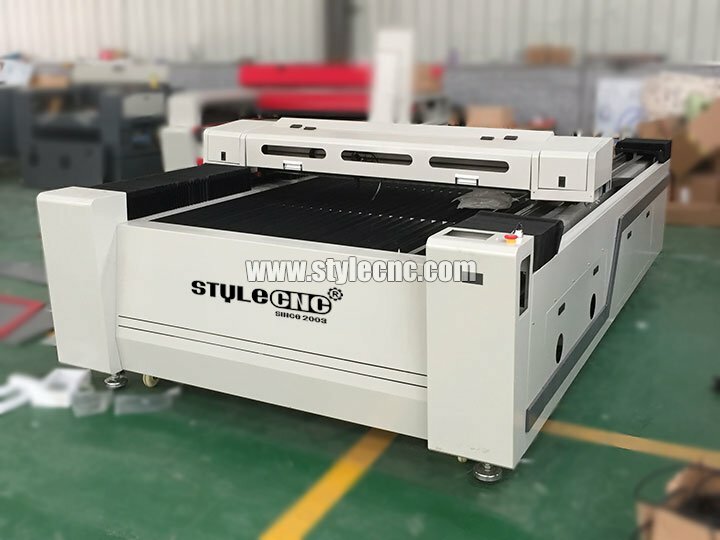 License: The text of "Big Size 1325 Leather Laser Cutting Machine for sale" by STYLECNC is licensed under a Creative Commons Attribution 4.0 International License. Received my laser packaged well in a woodcrate. All accessories were secured inside and accounted for. Construction is solid everything was already lined up for us (mirrors, laser, dot, belts). Once we had everything setup and tested it out I am super happy with my purchase! 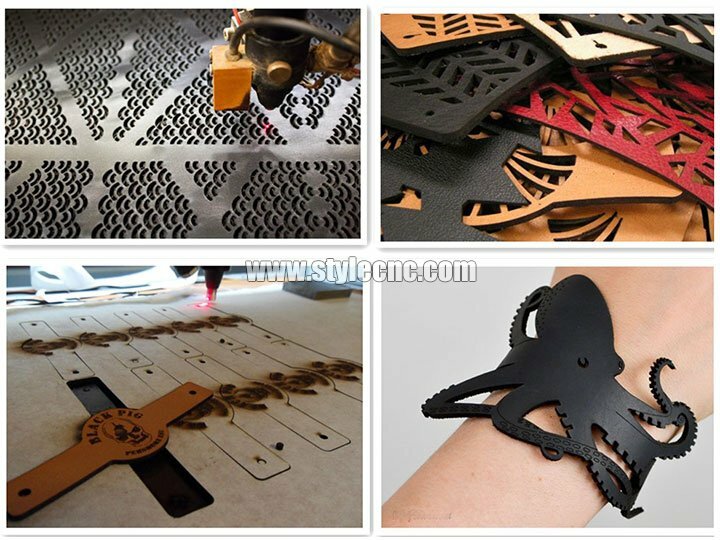 High quality laser leather cutting machine as describing, all are good, perfect packing, thanks my dear. I have been operating this laser cutting machine for a little over a month and it has held up great. I thought that my tube was starting to wear out but I contacted the seller and got some great troubleshooting advise that helped me get back up and running. Their service was very good. These types of laser machine all need regular service and maintenance, if you are willing to learn a little about how it all works and take care of it, I feel like it is an awesome laser machine for the price point and it is definitely a workhorse.